What is the admissions process at Agia Sophia? The first step is to become familiar with our school and its unique philosophy by scheduling a school tour, speaking with our Principal or Secretary and reviewing this website. Further information on the application process can be found on our Enrollment page. Do you offer tuition discounts or financial aid? Agia Sophia strives to offer generous need-based tuition assistance to families. For more information, see our Tuition Policy and Tuition Assistance Policy. What kind of lunch program is offered? Students bring their own lunches in character-free lunch boxes. Once or twice a year the school hosts a special hot lunch day, usually in conjunction with another special event. Agia Sophia requires its students to wear prescribed uniforms: Burgundy polo shirts with Navy Slacks (boys) and Navy Jumpers (girls). Detailed information about our dress code policy is available in our handbook. How does the school view parental involvement? ASA’s core philosophy is that we are an extension of the primary parental responsibility for the education of children. Our role is to reinforce the values parents are trying to impart at home. Therefore, we strongly encourage parental involvement in our school. We desire our parents to be active in the classrooms if possible, to volunteer for school projects, and to meet with the teachers regularly and frequently. In addition, to be most effective in educating our students, parental support is expected in the event that any academic or behavior issues arise. What is the discipline policy at Agia Sophia Academy? We see each student as one who bears the image of God, and one who therefore is a unique individual with unique personal, social, and educational needs. As a result, every disciplinary situation is unique in nature. Our school staff dedicates itself to following a set of core beliefs that provide a guide for dealing with student discipline. These core beliefs stem from a philosophy called Love and Logic (c), developed by Jim Fay and Foster Cline, M.D. ASA teachers are trained in this approach and the school provides resources for parent education as well. More information can be found in the Parent Handbook and the ASA website. What is your school’s philosophy regarding homework? We strive to keep homework at a reasonable level. Our approach is to work hard on academics during the seven hours each day we have the children with the goal of minimal homework after school. We believe it is important that children have family time. That being said, students often do need some amount of extra practice in specific, new concepts, skills, or facts. In certain subjects (e.g. math or language), there is not enough time in a school day to do as much practice as may be necessary for mastery. Therefore, after reasonable in-class time is spent on the material, the teacher may assign homework to allow for the necessary practice. Homework is never given as punishment or as busywork. For more information, see our Homework Philosophy and Guidelines in the Student/Parent Handbook. Does Agia Sophia Academy require immunizations? Immunizations are required for attendance at all preschools, elementary, middle and high schools in Oregon, whether public, private, charter or alternative schools. However, if your child is not vaccinated, the law does allow for exemptions with proper documentation. Learn more at www.oregon.gov. Additionally, Oregon State Law (Senate Bill 895) requires schools to share their immunization and exemption rates for each vaccine required for attendance. New rates are release each spring. Click here to view ASA’s rates. Does a student have to be an Orthodox Christian to attend ASA? No. While Agia Sophia Academy is an Orthodox Christian School, it does admit students from all faith backgrounds. However, all students, regardless of background, are expected to participate in church services as well as in faith class. All who enroll at Agia Sophia Academy agree to participate in all activities and classes during the school day. The student body at ASA currently consists of about 20% non-Orthodox students and 80% Orthodox students from varying churches and backgrounds. Agia Sophia Academy is a distinctively Orthodox Christian institution that is committed to educating according to the Tradition of the Orthodox Christian Faith. The school is associated with the Orthodox Christian Church reflected locally, nationally, and internationally. What about students transferring into your program from other schools? This is a legitimate concern for many parents who are considering enrollment of their children. Our experience tells us that some students will adjust readily to the new approach and some may encounter challenges. The teaching staff carefully assesses each student in each subject area and find the most appropriate level for them to begin working. Our small class sizes allow teachers the ability to give specialized attention to new students in order to get them acclimated smoothly to our school culture. How long has your school been in operation? The 2016-2017 school year was our 13th year of operation. A Steering Committee worked for over a year to put ASA together prior to our official opening in September of 2004. Over the past years, ASA has developed respected Montessori and Multi-Age Elementary programs and continued outreach to the Pan-Orthodox community and beyond. What curriculum is used at ASA? What subjects do you teach? Agia Sophia Academy uses a variety of curriculum resources and approaches for its academic programs. We strive for materials that are academically challenging and facilitative of our goal of providing a quality Orthodox Christian education. We teach all of the basic subjects (Faith History, Reading, Writing, Spelling, Math, Science, History, Greek, Latin, Art, Music, Physical Education, etc.). Our curriculum is distinctive in that our students are taught how to learn, to grow in the gift of discernment, and to be critical thinkers. Are the teachers at Agia Sophia licensed teachers? All of the classroom teachers at ASA possess current state licensure and degrees in education. In addition, we generally require each of our teachers to possess a bachelors degree, to be an active and faithful Christian, to have a true love for teaching children, and to have a love of learning and a passion for their subjects. Do your students receive instruction in Art, Music, and Physical Education? Yes. Music and P.E. are taught three days per week by a qualified specialist. Students are taught Music History and Theory, as well as voice and instrumentation instruction. Our Physical Education program uses the Brain Dance Method and the Presidential Physical Fitness Challenge. Art is taught in once a week, also by a qualified specialist. Student learn about Art in a multi-media, technique-based format in concert with Art History. We strive to integrate Art, Music, and P.E. into our core curriculum study (history, math, and literature) as often as possible. Do your students participate in standardized testing programs? Yes, our students are regularly tested in aptitude, basic skills, concepts, and reading comprehension using nationally recognized standardized tests such as the Stanford Achievements Test and DRA reading assessments. Is Agia Sophia Academy accredited by any agency or organization? 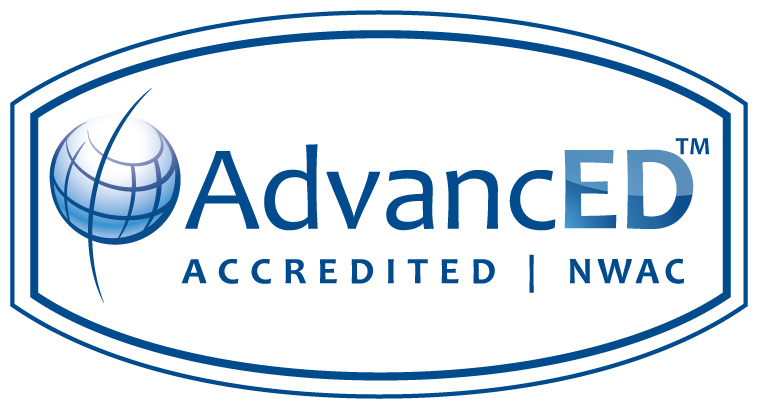 Yes, ASA is full-accredited by AdvancED | Northwest Accreditation Commission (formerly known as NAAS). ASA also has membership status with the Oregon Montessori Association and affiliations with Association for Supervision and Curriculum Development as well as the Confederation of Oregon School Administrators. What about the academic standards? How rigorous are your programs? We believe in setting standards that will stretch students of all abilities to reach their fullest potential-mind, body, and soul. At Agia Sophia Academy we strive to “set the bar high ” in a way that is both accessible to the average student and challenging to the academically gifted student. Furthermore, Agia Sophia Academy does not advance students from grade to grade simply based upon age. Students must meet the academic objectives set for each grade level, at the discernment of the teaching and administrative staff, in order to go on to the next level. Agia Sophia’s policy is to have a low student to teacher ratio allowing teachers to offer significant personal attention to the students. Currently our student to teacher ratio is 9:1 with an average class size of 15 students. The current hours of operation are 8:10 AM to 3:05 PM, Monday through Friday, with a 2:05PM early release on Wednesdays. Our Montessori classes run from 8:10 AM to 12:10 PM (half-day program) or 3:05 PM (full-day program), with a 2:05PM early release on Wednesdays. What grade levels does Agia Sophia Academy offer? We offer a full-day academic program for Kindergarten through Fifth grade. Our Lower Elementary classroom includes grades K-2 & our Upper Elementary classroom includes grades 3-5. We also offer a Montessori Primary program for ages 3-6 (preschool & kindergarten). One day, we hope to eventually add on a middle school program to take our student through 8th grade.